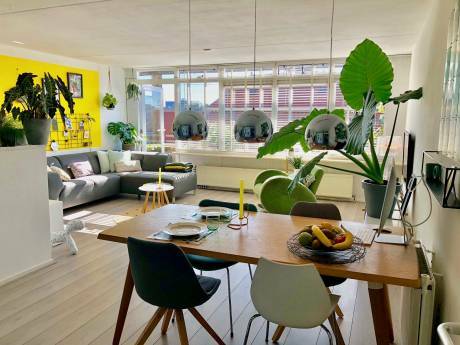 Nice and cosy studio apartment in Amsterdam with balcony , located on the 3rd floor ONLY 5 MINUTES FROM THE AMSTERDAM CENTRAL STATION BY FERRY BOAT. The studio is in Amsterdam North which is not on the mainland but a 5 minute FREE ferry ride away that operates 24 hours a day. NOTE: You get the free ferry boat over to the island (takes 5 minutes and runs every few minutes ). It is located at the back of central station and operates 24 hour s a day. It is then a 5 minute walk to the apartment. Lovely area close to city centre, 5 minutes by free ferry from the back of the central station. North is a quiet neighbourhood and easy to reach with public transport from the train station or airport. 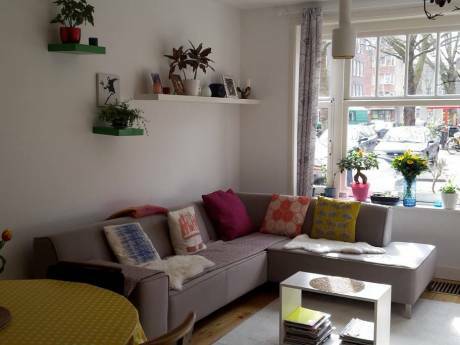 The apartment is situated at the river called "IJ" where boats and cruiseboats enter and leave Amsterdam.